Blonde hair is beautiful, but it is one of the harder colors to maintain, necessitating a little extra effort to keep it looking its best. If you don't tone blonde hair regularly, it can begin to turn an unappealing brassy shade. Toning your hair is easy though, and it won't add much more time to your regular morning routine, whilst the results will speak for themselves. Blonde shampoo is your first line of defense against overly warm tones. These shampoos have an addition of violet pigment that counteracts yellow tones as you shampoo your hair. When you use such a shampoo, it's no different to regular shampooing, except that it can slow down fading by keeping your hair toned. When you shop for blonde shampoo, actually open up the bottle to get a better look. This should preferably be done with the shopkeepers permission, though a little covert beauty investigation should never be frowned upon. When your hair looks that good, the cosmic forces will surely forgive you. However, don't open the product if doing so would break a seal and make the product unsalable afterwards. Look for blonde shampoo that has a deep dark opaque purple hue to it. If it looks more like a pastel shade or is translucent, it has absolutely negligible toning power and will do nothing for your hair. Professional shampoos like Fudge's violet shampoo, and De Lorenzo's silver shampoo offer you the most bang for your buck. They last forever because you only need to use a little amount, and may even only have to use them every couple of washes between washes with a regular shampoo. The De Lorenzo silver shampoo also has blue pigment to counteract any coppery notes and will give you the most toning power should you require it. This distinction doesn't carry over to other shampoos and some will be called a silver shampoo but have no blue pigment. The best idea again, is to open the bottle and examine for yourself. Often, the use of blonde shampoos isn't enough to keep blonde hair as toned as you will desire. Especially if you are trying to maintain an ash blonde or silver shade. 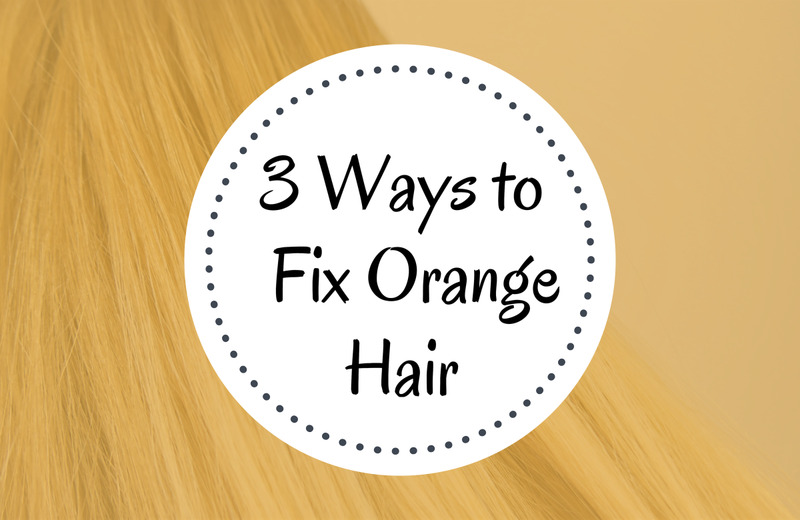 In this case, blonde toners should be part of your hair care regime. 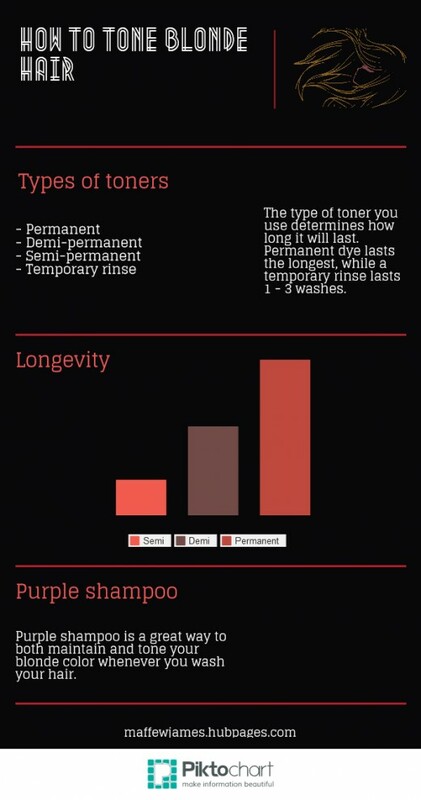 There are a few different types of toners, and they can be easily defined in terms of how long the color lasts. Temporary rinses are the least permanent and are applied as the name suggests, by using them in the shower after shampooing your hair. Semi-permanent toners are applied like a dye but have less penetration so they wash out over a number of shampoos. For lasting results, a demi-permanent toner is the best option as it provides the best durability whilst causing almost no damage to hair that has been bleached blonde. 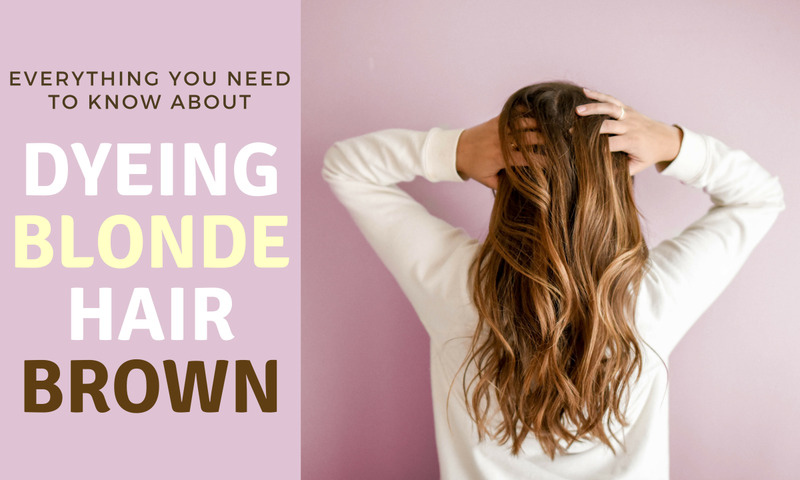 This is important because after dyeing your hair blonde, you want to limit the amount of damage it sustains hereafter in order to stay blonde and keep your hair looking great. Temporary rinses offer you the convenience of in-shower application. They only last one shampoo though, so they're best used for toning problem areas or temporarily cooling down excess warmth when you're between applications of a more permanent colour. To apply them, first shampoo your hair and then squirt a little product even over your hair, massaging it in. It may help to step out of the shower and watch it in front of a mirror to ensure it doesn't over-process. Once it reaches the desired tone, rinse it out and condition your hair. Semi-permanent toners can be in the form of liquids or a cream. They're applied to washed, dry hair and left to process until the desired color is reached. These dyes contain no ammonia or developer so they cause no damage to the hair yet are able to last a few shampoos before they fade out. These dyes will actually condition your hair and make it feel nicer. 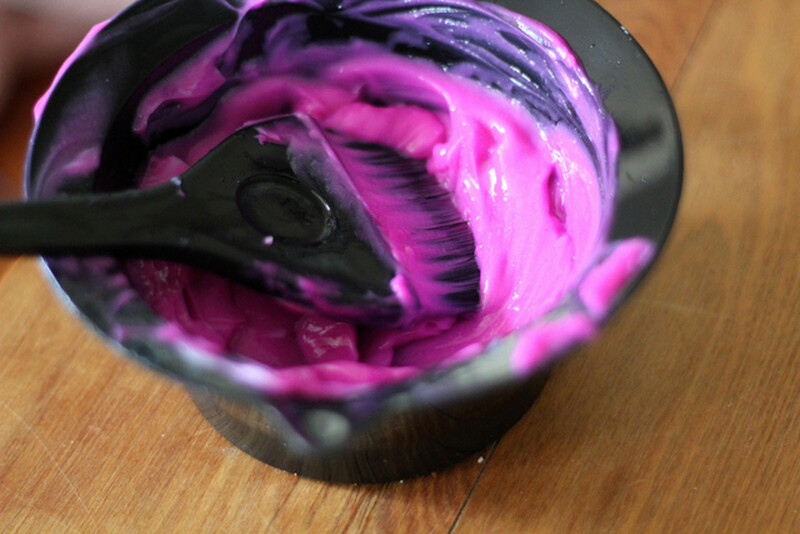 Liquid semi-permanent dyes should be squeezed onto the hair evenly and massaged in thoroughly. The quicker you can apply the dye, the more even the results. 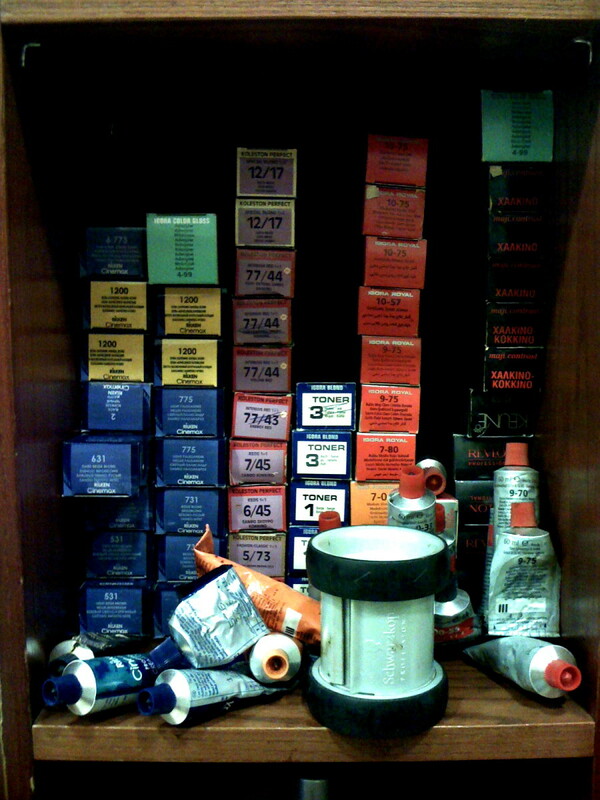 Cream dyes may be more suited to application with a tinting brush depending on how thick the consistency is. After it reaches the desired tone, you can wash it out. You should not shampoo after this rinse, but you may condition your hair if you need to. Demi-permanent and permanent toners both fall under the category of long-lasting color. The only difference between the two is that demi-permanent colors are mixed with a low volume of developer and don't penetrate the hair shaft to the extent that a permanent dye does. They also often incorporate some direct dye ingredients in combination with oxidative dye, which acts very similar to a semi-permanent color. Because of this weaker penetration and the low volumes of developer and ammonia used, a demi-permanent dye isn't very damaging. They can last a few weeks and can be applied again once they have faded noticeably. If you're using a blonde shampoo to reduce fading, chances are you will only need to use a demi-permanent or permanent toner once every six weeks or so, and this will coincide with the time it takes for your regrowth to need a touch-up. To use demi-permanent and permanent toners, apply the colour to sections of your hair quickly and thoroughly. It is easiest to apply if you separate the hair into four quadrants by parting it down the middle from your forehead to the nape of your neck, and then parting it from eye to eye, clipping each section back with a sectioning clip. Work down in small sections of hair from top to bottom of each section until your hair is entirely covered and then watch the dye closely whilst it processes. The hair shaft of each hair on your head is protected by scale-like formations called cuticles. When exposed to alkaline products like shampoo, or when exposed to heat, these cuticles open. When the cuticles of your hair remain open like this, it is easier for color to wash out. Acidic products like conditioner, barrier creams like smoothing serums, and the reduction of heat will help to seal the cuticles. How often do you tone your hair? 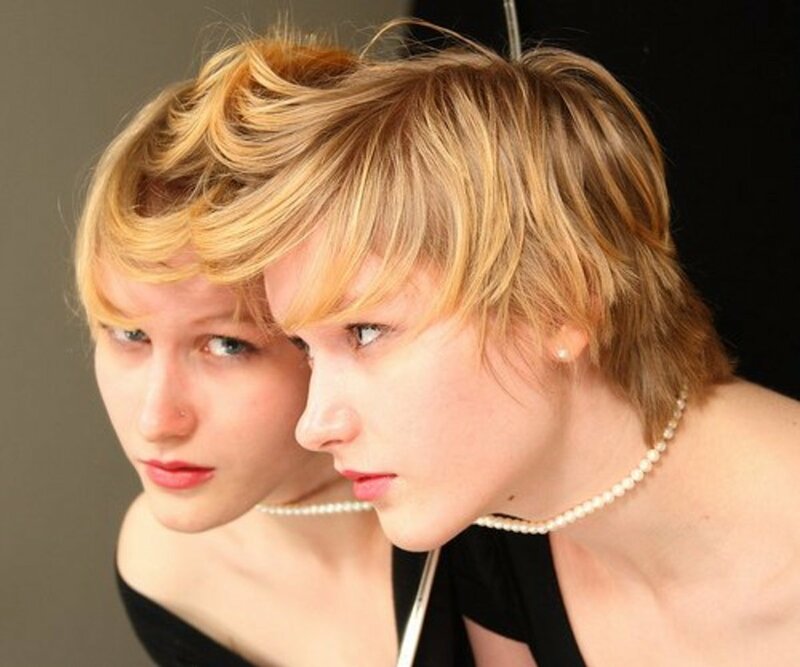 Blonde hair looks great, and it's important to take pride in the way you look. Toning your hair will keep it looking the best it possibly can, and help boost your confidence. Looking good and feeling good may be two different concepts, but they're both very important and can affect the way you feel about yourself. You deserve to be able to feel both. Do you have a question about blonde toners or need some help to tone blonde hair? Leave a comment for tailored advice and share your insight with other readers. Dyeing your hair blonde is a little more complicated than most colors. Here's how to accomplish it the right way. Find out how to care for your colored hair and reverse the common types of damage to keep it looking and feeling great. I have natural ashy brown hair and i have had it bleached blonde for almost 2 years . It wasn't until December this year did i find the desired shade of blonde using ions platinum lace toner . I love the silver look it gives my hair and the first time i toned with it it lasted a while. I redid it in the beginning of February and it washed out in less than 2 weeks . I tried again a week and a half ago and after the 2nd wash it came out. Why is this happening? Hi! I have never had to use toners when having my hair foil frosted. But I moved to a different area, and these hairdressers seem clueless. And therefore I am left with yellow hair. Ugh! Can I just add a violet based toner to my hair conditioner? Or do I need to use toner with developer? Thank you. Hi. I have virgin natural espresso hair. I was a henna head years ago. This will be the first time I venture into nonHenna reds. I am dying it light brown (red copper), from ESalon. I realize I have to lighten to get my color but I had a few questions about my developer, toner, etc. First off I’ll be using Schwarzkopf BlondMe Bond Enforcer 9. I have a 20 vol and a 30. Which should I use for this? And finally, I don’t have to go platinum to achieve a light enough blonde, is that correct? What about toners? Should I get rid of orange/yellows before laying on the dye, and if I should use one, do you have a recommendation? So I recently bleached and toned my hair to a silvery white blonde but certain patches didn't tone like I wanted them to. I want to do another round of toner and hopefully saturate my hair more this time but Im afraid of damaging my hair if I do two toning sessions back-to-back. My hair is very healthy though and has never had problems when I have bleached and toned it in the past. I deep conditionin it and after a day it is usually as soft and silky as any normal day. How long would you suggest I wait? Or is there any way to maybe mix the toner in with my shampoo so that it tones my hair gradually? Thanks! Can I use a 7NB toner on bleached yellow/ orange hair? Or should I use a violet to help cancel it out? He hair is about a level 9 right now. I don't understand how purple shampoo/toner is supposed to tone down reds in hair. Purple is a combination of red and blue. GREEN is the opposite of red on the colour wheel, and works best to tone down red. Why do green-based toners, etc. not exist? At least I have never heard of seen any. What I do to tone down the reds in my dark blonde hair is apply many drops of green food colouring on my hair before drying it and except for the challenge of avoiding green fingers, it works quite well (use hair colouring gloves)! I have also NEVER found an ash blonde shade that did not bring out some red in my dark blonde hair. Can you recommend any brands that have definite green undertones? I am struggling with keeping my hair blonde because I have well water with a lot of minerals, especially iron. My hair turns brassy orange-red and is also very oily and flat from the water. I have tried cleansing cream shampoo (Redken) and Malibu hard water shampoo. I do not wash my hair everyday anymore and switch the previously mentioned shampoosbwith dark purple shampoos. Over the last couple of years I've attempted to keep my hair darker, but I hate it. And believe the oily and flat nature my hair has taken is worse when darker. *We moved here three years ago and my hair immediately began to react. We have a whole house water filter and Ibhave installed a hard water/mineral remover showehead filter as well. I also have tried apple cider vinegar rinses and scalp exfoliating. Any advice? I want to keep blonde and get rid of the oily/flat roots. After I use the wella toner with 20 devoloper do I just rinse it out and condition or do I rinse and shampoo? I have shoulder length curly hair, naturally a med brown.I had a balayage done on my hair a week ago.my root area is med brown but ends are bleached to the desired lightness but there is some gold and warm tones I want to tone to be more ashy.Am I safe using a wella toner in t14? For toning, should I use a 10 or 20 developer? And will the toner affect my med brown color on my roots? Or should toner only be put on the bleached hair?Thanks in advance! hey i dyed my hair natural per blonde hair colour revlon shade no 4 its gone very blonde on top and i want to tone that bit down. Help wat should i use?? Hi i have had blonde hair for a few weeks just wondering i have a tube dye lightest ash blonde i want to use it as a toner should i use 10vol or 20vol to mix with the dye.? Hi! I recently used a color stripping agent to get rid of my red dyed color. My hair is lighter than it was before, because the red dye contained a tad bit of bleach. Now, my hair is a very light brown/dirty blonde but has brassy red undertones to it still. I want to use a toner on it, but I've read that this should've been done right after bleaching so my hair cuticles were open. Is there a way for me to open the cuticles so the toner will set since I don't want to bleach/dye it anymore? Will simply applying heat to my hair before adding toner help? Can I just add the toner without doing this or will it actually have an impact? I've recently gone (professionally) from a very dark brown to a soft blonde. I use wella toners at home and recently found the T28 toner which i think is the ideal one for my purposes. My question: I've been told a few different things about developer volume. One stylist said to use 10 developer when toning. The other said that 10 dev is only useful when dying and for toning, a 20 is necessary. I have had to tone a lot in the last few weeks (about once a week) because i was using too light a toner. I don't want to tone again with a 20 if i can use a 10. My hair is somehow still in really good shape but it's dry and a bit frizzy. My " natural" color as an adult is dark blond to light brown; platinum blonde until 9-10 years old. After doing foil color to have light blonde for last 15 years, I wanted a change,& also have some grays now! My hairdresser said going to all-over color would be best solution for blending the grays,& lifting root color a little. I am pale, with olive green eyes,& decided I wanted a darker blonde- I do NOT like brassy/gold on me,& my hair seems to pull red/gold. I asked for a neutral, natural blonde- I said no yellow, red, or grey! She mixed Paul Mitchell 8N &9N ( medium and dark natural blonde) & when she washed it out & I sat in chair, I saw this orangey/squash glow on top & almost cried. Stylist threw in an ash color to get rid of the orange/problem is, it's very drab, & in some light looks green, some just an unattractive wood-y color!! The back isn't as bad, it's kind of pretty/ but my bangs and sides, top is what I see &everyone sees! How can I change the unnatural, drab, color of my bangs& around face?! This was just done yesterday. It was the first time in 20 years I've had a permanent color put in my hair; my head burned & itched,I feel bad about myself! It's just not flattering at all, especially since I've always been light blonde. How do I get rid of that green/gray wooden color?! Will a toner work where it's darker than what my hair was, or should I try a Demi permanent color? Does wella toner(t14) or manic panic's (violet) hair work on hair with demi permanent dye on it? my hair is naturally brown and i have added highlights in, it doesn't look bad but i want to get rid of the brassyness without my brown hair going ginger, how would i be able to tone my highlights without making my brown hair lighter? Hello. I naturally have a medium to dark brown hair, but I've had light brown hair, red hair, and dark brown hair. More recently, I put a product in my hair to lift the color and then dyed it a dark blonde. I've received a lot of different feedback. A few people say that it looks brassy....orangey and yellow. Some say it looks like strawberry blonde. Mind you, I have my dark roots growing out and gray hair also...that looks white against the blonde. My husband loves the color and feels that I've "messed" with my hair a lot and suggests I don't do anything else to it (other than touch up the roots). He is a natural blonde and has said that my hair color looks strawberry blonde. Numerous people have suggested that I use a toner to get rid of the brassiness. My hairdresser has also suggested using a lower developer (volume 20 as oppose to the volume 40 we were using) and while touching up the roots also putting some dye on the rest of my hair for 5 minutes to even out the color. This is because she will be using a lower developer volume. I'm really and truly undecided, because as my husband has suggested repeatedly..."if I don't like the way my hair comes out....I'm going to be sorry that I listened to their advice." Please advise. I really like the blonde, I wanted to go blonde and I took the plunge..but I don't want to end up being unhappy. I know this post is old, so I am hoping you will still answer. I plan to bleach and tone my hair, but I am stuck with what toner to choose. I want a nice, neutral blonde. Nothing too ashy and nothing too warm. It seems like all the others come out ashy. 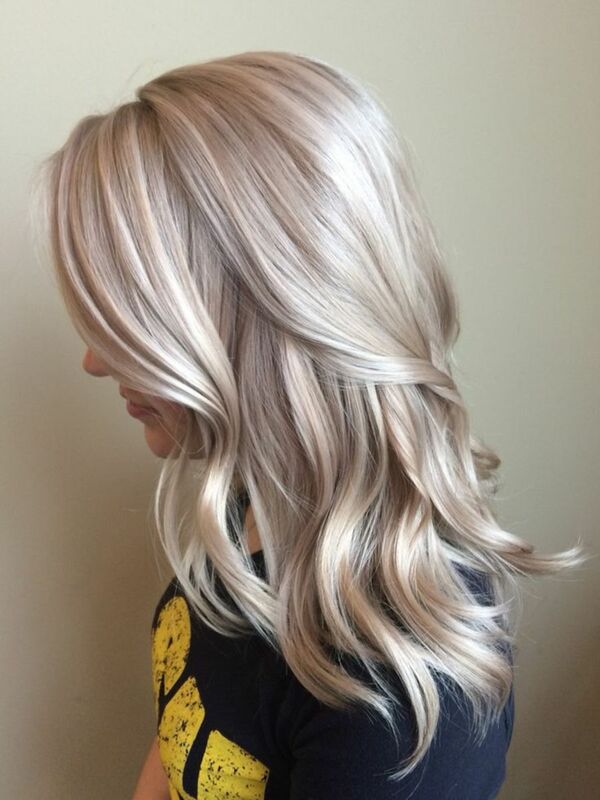 Is there a toner that will give me a neutral color like i desire?? Or do I need to get an actual hair dye to achieve that? 6 weeks ago I went in for a highlight. I'm a dirty dishwater/strawberry blonde originally. More on the darker side. I want light blonde highlights like I had a few years ago. The stylist did a horrible job, my highlights were maybe a shade lighter and they started to look almost red. 2 weeks later I returned. This time they did a highlight and lowlight all over my entire head. Now, my hair all over is very blonde, gorgeous light blonde in the back and sides, I have long hair, but, the top looks like gold streaks are in it. It's awful! I've never had a issue in the past, so, I apologize if I sound dumb, is that gold color the brassy color I've been reading about? Can I use loreal blonde brassy stuff to get that color to go away? If not that, what? Should brassy be happening the day I get the highlight? Why did this happen to my hair w/ the gold tone? Thanks for any help you can give! If I tone my bleached hair with a permenant ash toner, will it go grey? I'm naturally blonde but have recently dyed my hair dark brown and back to blonde again, so the ends are brassy and the roots are very bleachy! Help! Hello! I have naturally blonde hair, it's gotten quite dark and dull after having my baby and I just want to lighten it up and brighten it. Would a toner be enough? Or should I color the whole thing? Try to keep to once every 4 - 6 weeks if possible as it is permanent dye and will gradually cause damage with too frequent usage. If you find yourself wanting to use those toners too often, it's likely your hair is porous and anything you use, even a permanent dye, will fade easily. You may find a good purple shampoo to be more convenient to keep the colour maintained without causing additional damage because you can use this as necessary whilst washing your hair. Another option is a semi-permanent mousse and this can also be used as often as necessary without causing damage. Otherwise, for refreshing the tone after a few weeks use demi-permanent with 5 vol as the developer, or permanent with 10 vol to minimise damage. You don't really need to use 20 vol for toning because the lift it gives isn't necessary, assuming your hair is as light as you want it and you merely wish to tone it at this stage. The higher developer volume is used for lightening 1 - 2 levels during processing, to ensure coverage if there is grey hair, or to increase dye penetration into coarse, resistant hair. When none of these are an issue, use 10 vol for toning / same-level, or darkening; 20 vol for 1 - 2 levels of lift, 30 vol for 2 - 3 levels of lift, and 40 vol for 3 - 4 levels of lift. I need some guide from you: I had black level 1, I used majilift level 12.3 (very light golden brown) on may, and used majilift level 13 ( lightest brown) last month, and now I have level 4 or 5 ( I think). I am thinking about using matrix wonderlight to get to at least level 7, is it possible? Will I be able to do bleach bath with 40 volume to get to level 8? bleach bath is applied like shampooing, right? I am just not sure able to do bleach on my own, specially on the back part, afraid not even and creating spots. How should I rectify this? Will a toner help? If so what should I ask for? Thank your for sharing your vast knowledge in such a kind way. I'm a newbie hairdresser and unfortunately I have no way of obtaining advice from experienced stylist as I work alone. There's a client of mine who has a level 5 light brown hair that was bleached to a level 10 blond in the past, but later she decided to go back to her natural color, so she colored it back with a box color. When she came to me she had a regrowth of about 1.5 inch, not very visible except for some grey. She wanted to be blond(ish) again, so I put some level 8 highlights in her hair with balayage technique. One month later she decided she wanted to be really blonde again, so this time I basically balayaged her whole head, leaving some shadows at the roots, but her length and ends were all lightened. She wanted to be a level 9 cool blonde. I used Schwarzkopf BlondMe Premium Lift lightener with 30vol developer for about 50 minutes. Since I am not very experienced in lightening her hair seemed light enough for me, but after rinsing I realized that the lower half of her hair was light yellow and the upper half was golden. My first question is this: why do you think her hair lightened unevenly? Is it because her hair was lightened before and the lower half could be the part that was blonde once (but was colored over with brown) ? Since I thought the upper half was more of a level 8 than 9, I mixed equal parts of 8.1 and 9.1 with 20 vol peroxide. The idea was to tone her blonde but at the same time cover the grey in her regrowth. The result: the darker shadow basically disappeared at the roots, which was not what I intended, and the color was an 8-ish golden at the upper half, and a neutral 9-ish at the lower part. It was way too warm despite the ash dye, especially at the upper part, and the darker areas created by the balayage were basically nonexistent. Her ends were quite dry. So my second and third questions are: What should I have done (but didn't) in order to achieve the desired result, and what would you do from here to get her to a level 9 cool blonde that is not too one-dimensional? I have really enjoyed reading your articles and I find them very interesting. I have mid brown hair and have been having blonde highlights for the past few years. My hair can grow quite quickly and my roots come through quick too. I find that after 6/8 weeks I have at least two inches of roots. This time my husband and I decided to buy L'Oreal Paris Perfect Blonde Creme Maximum. My fringe turned a nice blonde/yellow colour and the rest of my hair went a golden orange colour! I bought Bblonde Maximum Blonde toner in platinum but it's only toned it to a gold colour. So, my question is, how can I get a nice light blonde all over? I don't mind bleaching it again and investing in non shelf products, as this would be a better investment, so I can keep up with it. Can you please recommend the products too, as I never know what to use. Will I need to tone or dye it to give it a nice colour and shine too? (I'd like to try a platinum blonde or a shade lighter). Many thanks. If you let it fade with a few shampoos over the next 1 - 2 weeks it will lose that grey tone during that time as the toner fades, assuming it was toned to reach that colour. If it was lightened without toning, the grey colour is usually the result of having an ash base tone in your natural colour, and this is greatly enhanced by light highlights. In this situation, you can correct the tone by adding gold pigment into the highlights to warm up the overall colour. 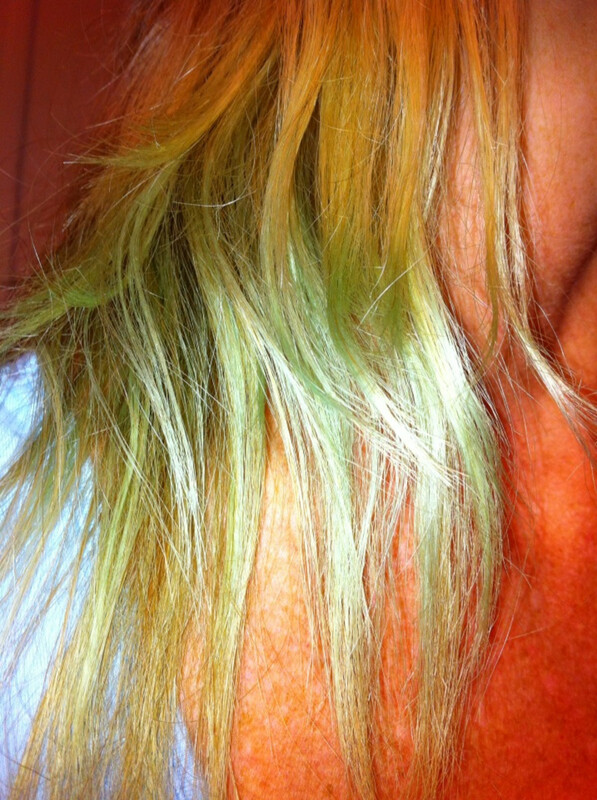 This is also something you can do if it was toned and the toner is taking a long time to fade out. To tone it to add warmth, use a beige or golden blonde shade in demi-permanent or semi-permanent dye that is 1 level lighter than the highlights (anything permanent will affect your base colour and lead to too much warmth due to lightening occurring in the darker hair). As long as you're not using a permanent dye, you can apply this dye all over because it's too light to affect the darker hair and won't cause significant lightening. If you apply this, it will gradually add golden pigment into the highlights to warm it up and make it look like a more natural blonde shade. You can rinse as soon as you're happy with the shade, or leave it until it has fully processed. I went to the hair dresser today and told them I wanted platinum/bleach blonde and I live in Europe so there are different laws and regulations and they said they couldn't lighten my roots that much(i think my hair is a level 4 brown or whatever pretty dark), and they highlighted the whole hair except for the roots. It turned out rather a grey than a blonde though. I kind of remember the hairdresser saying that it will turn blonder and it also looked more blonde in the salon so I didnt really say anything then. Anyways, can I do anything to make it look blonder? Hello I read your article but I don't know much about hair and terminology. I have naturally dark brown hair with chunky blonde highlights. They are a nice light ashy pale cool blonde when I first get them done, then they turn yellowy warm brassy? The blonde highlights seems to dry and damage my hair as I flat iron often. I even had a couple little areas of hair break off (2 small areas not too noticeable). I really want to be able to pull off that super light blonde highlight but it's damaging my hair and turning a color I don't like. I do have a purple shampoo but it doesn't seem to help as much as I need it to. What kid of toner could I get that would help me maintain? I thought it was saying the semi permanent toner doesn't damage? Help I'm kind of lost?!? Thank you! How much lighter are the roots in comparison to your lengths? There are a few ways to fix the colour difference, but the easiest method for a very noticeable distinction will be to fill the roots and lengths to the same base tone and then dye over that to even everything out. What this means, is that you need to go over the roots using a golden dye as the filler to replace the missing pigment that has been lifted out when they were bleached. This will give you a new foundation to apply the darker blonde colour so that it turns out the way it should. Ideally, this golden filler needs to be dark enough to take both the roots and lengths to the same depth and gold colour for the most even result. Following this, dye over the filled hair using a mix of natural and ash blonde. As for the right shades to use for this process, you need to base this on how dark your lengths are. For example, if your lengths are a level 8, you want to fill with 8G (Light golden blonde), in demi-permanent, and then finish the correction with a mix of 7N and 7A in permanent. Alternatively, you can use 7N by itself for a warmer result; the ash mix is for a cool blonde result. I have been using revlon frost & glow blonde for 8 months. Then my husband/helper decided he missed spots & put it all over my hair AAAHHH so i went to Sally's and they gave me Wella T18 and told me to bleach my roots then the next day apply toner with 10 developer for 15 min. I was going for a natural blonde. However i bleached my roots today and they are white! Help what do i do? I have been trying to achieve through a salon is a light ash brown with bright blond highlights. My hair is light and they've tried 8,7,61/2 and I still get gold.now when 6 was used it was muddy purple gray.so she stripped and then put blonde.how do I get cool ash brown with blonde highlights without gold or brassiness. Conditioner coats and seals the hair so it reduces penetration of other products like toners. Easiest way to get around this is to just shampoo it out and then tone. Hi! I just bleached my hair and wasn't sure if I was going to try toner another day, so I put in a deep conditioner for an hour. Now I have the toner and I want to do it now but have read mixed reviews about not toning if I conditioned. Is there a chance I really can tone it right now, leave the toner in longer? I've read the toner won't take as well. Or how can I fix it so I can do it now, add product, re shampoo or keep rinsing the conditioner out? What's your thoughts!? What colour are you trying to reach? The toner will need to be rinsed out because they aren't left in your hair, but I'm just wondering why you're toning and then dyeing it after that. Depending on what colour you're trying to reach, this could be done with the one dye in most cases. They don't list ingredients, and that is a red flag for me. I also don't like the idea of mixing some mystery chemical into bleach. Bleach is very reactive and you never know what you could be creating if you mix other chemicals into it. Do you think olaplex is good for your hair? I have used it a few times and am not sure its really doing anything at all? You definitely can do this kind of reverse ombre. Do be careful that you don't accidentally end up with colour along the lengths where you don't want it though as the result can get messy quickly. Digressing a little, it is very odd that the use of a darker ash colour would cause a brassy tone in your hair. Normally, applying darker ash colours on top of lighter hair results in intense ash results. Eg, if you apply a dark ash blonde (6A) on top of level 9 hair, this can actually turn a grey-blue to even greenish colour because of how much cool tone is in the dye and how this isn't balanced by warmth from the lighter hair it is applied to. I'd suspect the particular dye brand used has a warmer ash tone, or that the ash tone was either mixed with a natural tone or something warmer. In any case, I'd recommend using dark neutral blonde mixed with dark ash blonde for your ombre. You don't want to use anything solely ash as it can cause the problems I listed above, and the neutral tone is best for darkening as it will introduce every primary colour back into the hair as balanced colour. The ash mixed in shifts this to a cooler result Ie, imagine equal amounts of blue, red, and yellow tone which gives a neutral result. Then imagine adding in more blue so that blue is more dominant than the other tones. The result is a properly darkened but cool result. However, given your history with brassiness, I'd recommend you try this as a strand test for your first step. Apply to a small section of hair, or cut off a few strands from underneath at the back of your head where it won't be missed too much, and look at how the colour reacts. If it does look somewhat golden, try switching dye brands, or use the ash by itself only as a last resort as most brands won't darken properly when you use tones like this by themselves (Think of grey hair, how it needs to be dyed by mixing your desired tone with a neutral tone to reintroduce the missing colours). Definitely do the test first before you use anything though, as it's not normal to see a golden tone present from ash with most brands, but you definitely could end up with blue hair if you just go ahead and use it by itself. So I am a life-timer when it comes to getting highlights. I'm pretty sure my natural hair color is a golden light brown. My main issue is anytime I touch my hair it pulls red/brassy. I wanted to transition away from the white blonde to something a little more natural. The last time I was at my stylist we attempted a highlight/low light combo. Even though she only applied ash low-lights my hair still pulled a brass color anywhere she put it, and as expected it gets worse when I'm in the sun. My roots are coming in which wouldn't be as bad if my hair wasn't so long and mostly blonde. I wanted to use toner to create an ombre look. Can I add toner from the roots to about 1/3 of the way down my hair and comb it down some to get it the way I want? My two questions are- 1. would this work? and 2. is there a toner color that I can apply that will get me to a dark blonde but won't have me looking like I have brass highlights? The brass looks awful with my skin tone. You can definitely dye red hair to blonde, but you tend to need to use more ash tone than for other natural colours to counteract the abundance of warm tones. As for what happened with your hair, did you notice good lightening with the 40 vol developer? Ie, did it lighten properly but ended up too reddish in tone? If it lightened properly, there is a reason why it is still reddish. It's very likely your hair didn't lighten enough for the delicate ash tone in 10/1 to actually neutralise the warmth in your hair. The colour in that shade is very very light, and the use of 40 vol as the developer will decrease colour deposit in addition to this. If you want to use the 10/1 for lightening, this is fine, but you will need to tone separately after dyeing. Otherwise, lighten using a darker shade; at least a 9/1 for adequate toning depending on how much warmth you're seeing and how light you want to go. I wouldn't recommend it. You can mix it with other WonderLight shades, but you shouldn't mix it with other Matrix dyes like SoColor, and definitely not with different brands. Because the WonderLight is more of a toning lightener it's better for creating highlights in natural hair rather than using like regular dye. You may be able to use it for toning to maintain your colour as it fades though. Lots love for you Maffew! The Matrix dye didn't lighten because your hair is dyed with dark brown dye. Dye only lifts natural pigment, so if you have dark dye in your hair, this won't budge. To get it to the colour you want, bleach to golden-orange for level 5, or orange for level 4 and apply ash dye. The ash dye used should be the level you were targeting. Light ash brown for level 5, or medium ash brown for level 4. If you've only used that dark brown and the Matrix dye on your hair and it's in good condition at the moment, it should still be in really good condition after this, to the point that you will barely notice a different. If you have very fine or thin hair though, be more careful with the bleaching as this will be more prone to showing damage. Overall it takes a lot more processing to see significant damage for most hair. If you do notice a problem, treat your hair with protein treatments and this will repair any damage. Big thanks for articles really helpful. I need your advice for my hair. I had naturally black hair i don't know exactly if it was on level 1 or 2. Then i dyed my hair dark brown maybe about a year ago. I really want my hair become ash brown. I actually bought matrix wonderlight in cool ash with 30 vol developer but now i doubt it could give me nice result as i did the strain test and nothing change. My question is how can i achieve the nice ash brown color maybe in level 4 or 5. If i use bleach then i should achieve the bright orange stage ? than after that follow by dye my hair with permanent ash brown with 10 vol developer or shoukd i just tone it with i don't know a green color in order to achieve natural ash brown? i really love to have that color on my hair but i confused and scared as i browsed reading horor color story lol and also my hair is very soft that scared me if this color i want could damage my hair badly. After you get it a very pale yellow colour, you can tone with a pastel shade like Wella Color Touch 10/01, Igora Viviance 9.5-1, or Goldwell Colorance 10V. All of these shades are very pale and demi-permanent, and once you reach the amount of toning needed, you can rinse them out. With the Igora or Goldwell options, you can also better maintain the colour with their mousse options in the same shade, which are used after shampooing, but you should be fine just with a weak violet shampoo as white blonde hair is so pale and only needs the slightest toning. The highlights play a part in this because the copper can grab onto those areas more readily. It really just depends on whether you're happy with the possibility of this or you'd prefer a more even result. Also, with the lightening, you want at least 30 vol to guarantee at least 2 levels of lift and a vibrant result on your regrowth with most brands of dye. Using 10 vol is fine for the lengths if they're already as light as you need them to be, but you may want to up that to 20 vol if the overall colour is very brown. This will help lighten it just enough for the colour to appear more vibrant all over. The toner will fade over time. It doesn't 'wash out' like a temporary dye in that no amount of washing will ever get rid of all of it, but it does become duller with washing. Alternatively, as it is a permanent dye you can use dye remover to reverse the chemical process that made it permanent, breaking it down and allowing it to be removed. I have a natural 6 brown regrowth with highlighstn an orange/caramel mid to ends level 7/9. I want to go a copper red all over with highlights. Can I use a 7.43 20vol on base and 7.43 10v on mid to ends??? Will that even it up? hi there I have black hair and had bleached highlights put in then a permanent toner by hairdresser. the toner is too dark For my liking. Does permanent toner wash out??? If using semi-permanent or demi-permanent colour, you can practically tone it as often as necessary. Same as with the use of a toning shampoo. If using permanent dye though, best idea is to wait a few days if there is any dryness and potentially switch to a less permanent option. Whilst temporary dyes wash out over time, the fact that they cause no damage is a good trade-off for this and it will keep your blonde hair healthier over the long term. As for why there is still some warmth, is this orange hair darker than the rest of the hair you toned, or possibly wasn't covered as well or for as long as the rest? If it's darker, it will require a more concentrated toner to properly deal with the warmth compared to hair that is lighter. Also, whilst you do need the blue tone to counteract the orange hair, keep in mind that if it's still orange, it may still be a little too dark overall. Usually hair that is orange is somewhere between light brown and dark blonde and when it is toned to the point where all the warmth is actually neutralised, it will look closer to a neutral shade of light brown than blonde. If this is the case you may want to lift it one more level with a light bleaching to take out a little more pigment and get it all into the blonde range. If you do this, focus bleach on darker areas only in order to deal with this orange and help even it up so that it's all the same. That way the next time you tone it will all reach the same result without the previous patchiness. Hi! I'm trying to remove the brassiness out of my hair! I've toned it tonight with a blue-violet base and it did work but I still see some orangy color. When is it safe to tone it again or is this not the answer at all?? Any help is so appreciated!!!! Well at least the colour turned out nice, even if blonde hair doesn't suit you as much as you had hoped. With natural tones, you can't necessarily just use one and not run into issues. Many are balanced shades and they will contain a balance of all three primary colours so they're not strongly cool or warm and this helps. Others are slightly warm or slightly cool depending on brand. If you're going up to 2 - 3 shades darker, using a natural tone will give a good result. For anything darker than that though, I'd definitely recommend filling. The darker you go, the more likely you'll get an unintended result because of the missing base tone. You can get around that relatively easily by using protein filler or dye to replace the base tone and then applying your final colour to finish it up. If you look at the colour you want: eg, light brown, you can then see the base tone for that colour is orange. If you had light brown hair and bleached it lightly to take out the visible colour, this is what you would be left with. Similarly, if you wanted light brown hair, you need to put this back into your hair prior to adding in the cool tone that causes it to look light brown. thank you for the reply after following yours guides on here, i done my hair and for my first time doing anything so drastic to my hair myself it turned out really well, lovely golden blonde maybe little to golden but made a homemade conditioner with violet and it toned it right down. only problem is now i hate it hahaha , first time being blonde and its really not for me .read your other articles about dyeing blonde hair brown am i safe to say i can use any natural brown colour on my hair and it wont go green or any thing funky like that. You want it to look golden after bleaching in order to reach a medium blonde colour. As it lightens it will first go red, then orange, then golden, and finally to yellow and then progressively lighter shades of yellow. As for the dye, it's likely natural medium blonde if it says nothing else. This is an approximately neutral shade because all of the primary colours are fairly balanced, but it can still be used to tone your hair. The result will be more of a beige to neutral rather than a cooler blonde, whereas you can get much ashier results using an ash tone. It really just depends on what shade you want to achieve. I'm sorry to hear about this happening to you. It sounds like the dye used was either a regular permanent dye with a high volume of developer, or a high lift dye as heat wouldn't normally be used for toning. If it was used with a toner, you still wouldn't see this sort of reaction because toner is by definition 'deposit-only' in that it only deposits colour and isn't used to lighten your hair. The heat would increase colour penetration, but without ammonia and peroxide, there is little to no scalp irritation. This means whatever was used almost certainly contained a powerful concentration of developer. Heat boosts chemical reactions and this is why it is sometimes used during lightening processes. By increasing the temperature of dye, the developer reacts much more rapidly and your hair will lighten more, as well as quicker. This can also greatly increase irritation though. Did you notice any burning or pain during the dye process, or did this only become apparent the next day? The only other thing that could explain this is if you had an allergic reaction to the product. This can cause irritation even if a deposit-only colour or weak permanent dye was used, and it's not impossible to feel fine the dye of the process and only start to get symptoms hours later when an allergy is to blame. It would also explain the hair loss if it has just fallen out. Hair loss from dye or bleach damage usually occurs as sporadic breakage. In really bad cases, the hair stretches apart like over-cooked pasta. It almost never falls out from the root though. Whilst it's not impossible for this to happen, this is another possible sign of an allergic reaction. In any case, keep a close eye on your hair and scalp over the next few days to watch for any additional symptoms that could be the result of an allergy. If this is a delayed allergic reaction, you don't want to leave it if it gets worse. I'd also recommend contacting the salon and asking them specifically what they used as well as letting them know what happened. Ie, what kind of dye - if the dye was demi-permanent was it acid-based or peroxide-based - if permanent, what volume of developer was used. All the best, and I wish you a speedy and safe recovery. Hi I went to a salon to have a toner put on after I bleached my hair. The stylist applied the toner then put me under a climazone to speed up the process. The next day my head was sore and red and half of my hair has fallen out on top and side of my head. I now have huge bald spots :-( is it normal practice to appply heat when toning? You can't darken hair without dye unfortunately, but you can use a semi-permanent dye if desired. Because this doesn't contain developer or ammonia it doesn't penetrate the hair and causes no damage. It will wash out over time and have to be repeated when this happens, but it's the gentlest form of dye if you don't want to use anything harsher. Do you know what level your hair is, and what level the lighter roots are? The dye you use needs to be a natural or beige tone at the same level of your lengths. I wouldn't recommend using an ash or pearl tone or it will look overly grey. Apply this to the roots first, allow them to darken up to close to the lengths, and then pull through to the lengths for the last few minutes of application to give an even result and tone before rinsing. 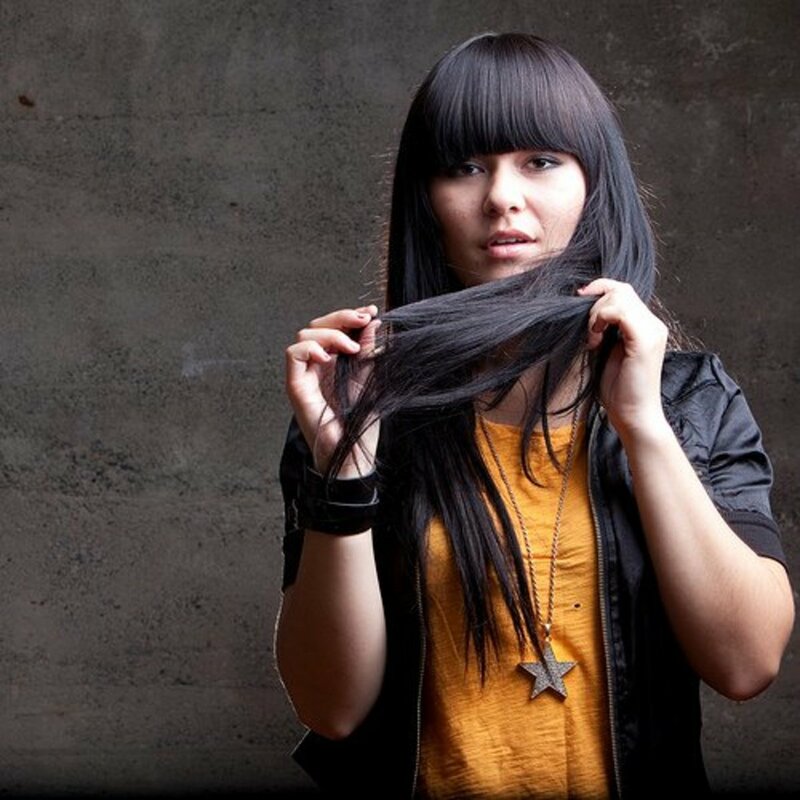 If your hair feels overly oily, give it a shampoo with a mild moisturising shampoo prior to dyeing so the dye penetrates properly. Otherwise leave it unwashed when using permanent dye as the dye is slightly drying and the natural oil in your hair protects the hair from drying out to much and your scalp from irritation. One further tip in case it applies to you; if you have porous hair, which is often the case after lightening, you may want to use a porosity equalising spray before applying dye. This is a protein spray that penetrates the hair and stops the dye from becoming patchy or too dark in areas where you have high porosity. I'm just wanting to know if I should wash my hair and have clean hair before applying permanent toner? It's an issue with the highlights unfortunately. Any colour you use to tone the base colour is too strong for the highlights and will turn them grey, whilst a colour that is strong enough only for the highlights isn't able to affect the darker base colour. As for reaching a white colour, you need to remove the unevenness from the highlights before you can actually achieve this. This entails selectively bleaching the darker hair only, until it has lightened to the same level as the highlights. After that, you're aiming for a pale yellow colour all over, at which point you need to tone with pastel violet to neutralise this trace of yellow and create the white result. With your hair already lightened and possibly damaged you will need to be careful with any subsequent bleaching and definitely shouldn't bleach it again if it's already damaged or just fragile in general. If your hair is in good condition and you can be sure it will actually stand up to the process, I'd be happy to give you more in-depth information about how to do it.